The Rogue River winds 215 miles from Crater Lake National Park to the Pacific Ocean. With a long and entertaining history, from Native Americans, fur traders, farmers and gold miners to movie stars and Hollywood elite the beauty of the Rogue has capturing the hearts of all who wander its shores . 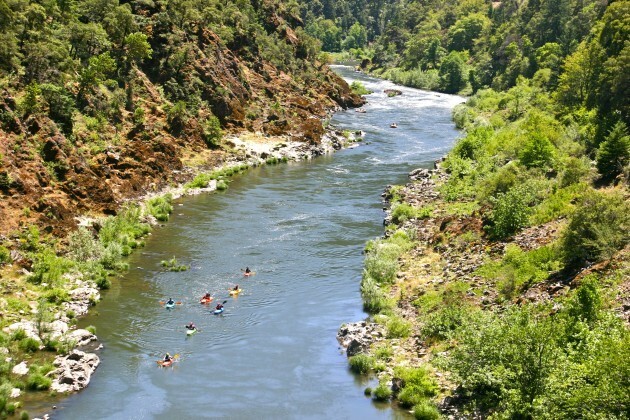 The Native Shasta, Takelma and Rogue River tribes were the first to call the Rogue River and Valley home. In 1836 fur traders, trappers and settlers started to make their way to the bountiful Rogue. In 1850 with the Donation Land Act the area changed again bringing farmers and ranchers to cultivate the land. However, it wasn't until late in the fall of 1851 with the discovery of gold that the population grew by the thousands. Miners and settles rushed to the Rogue River in hopes of striking it rich. Since the first discovery over $70 million dollars worth of gold has been panned from the river beds. Over the years many movie stars including Clark Gable, Ginger Rogers, Zane Grey, Herbert Hoover and Kristie Alley also called the Rogue Valley their home away from home. The rugged beauty of the Rogue can be seen as the backdrop in many movies including the famous jump in Butch Cassidy and the Sundance Kids filmed along Hellgate Canyon. Today the Rogue is considered one of the West’s major rafting, kayaking, jet boating, fishing, hiking and bird watching destinations. Designated as 1 of 8 Wild and Scenic Rivers in the United States, this is one river you will want on your bucket list.